Alex trained as a scientist with a degree in human biology focussed on cell biology, immunology and genetics at Philips University in Marburg, Germany and subsequently worked in Frankfurt (Germany), Dublin (Ireland) and Munich (Germany) mainly in the field of Parkinson’s before accepting the role of European Research Manager for EUROPAR in 2011. EUROPAR is dedicated to academic research in non-motor aspects of Parkinson’s, improving care for people with Parkinson’s and delivering excellence in clinical research across Europe. EUROPAR is formally affiliated to the European Parkinson’s Disease Association (EPDA), as well as the International Parkinson’s and Movement Disorders Society (IPMDS). 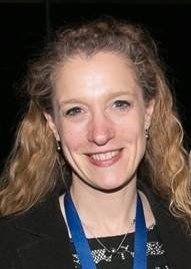 Alexandra took up her post in February 2011 and is now based at the National Parkinson’s Foundation centre of excellence at King’s College Hospital in London and also has an international role as the co-ordinator of the IPMDS Non-Motor PD study group. She has written reviews and papers on non-motor aspects of Parkinson’s and continuous drug delivery therapies and presents work related to her EUROPAR role regularly at international conferences, e. g. International Parkinson’s and Movement Disorders Society meetings or the World Congresses on Parkinson’s Disease and Related Disorders. Alexandra also manages research on behalf of the London South Nervous Systems sub-speciality group across the UK and is leading CRISP (Community for Research Involvement and Support for people with Parkinson’s), a patient and public involvement group at King’s. Todorova A, Martinez-Martin P, Martin A, Rizos A,Reddy P, Chaudhuri Daytime apomorphine infusion combined with transdermal Rotigotine patch therapy is tolerated at 2 years: A 24-h treatment option in Parkinson’s disease. Basal Ganglia 2013; 3: 127-130. Zis, A. Rizos,P. Martinez – Martin, S. Pal, M. Silverdale, J. C. Sharma, A. Sauerbier and K. Ray Chaudhuri. Non-Motor Symptoms Profile and Burden in Drug Naive Versus Long-Term Parkinson’s Disease Patients. J Parkinson’s Disease 4 (2014) 541–547. Ray Chaudhuri, A. Rizos,Trenkwalder,O. Rascol, S. Pal, D. Martino, C. Carroll, D. Paviour, C. Falup-Pecurariu, B. Kessel, M. Silverdale, A. Todorova, A. Sauerbier, P. Odin, A. Antonini, P. Martinez-Martin on behalf of EUROPAR and the IPMDS Non Motor PD Study Group: King’s Parkinson’s Disease Pain Scale, The First Scale for Pain in PD: An International Validation Mov Disord. 2015 Oct;30(12):1623-31.